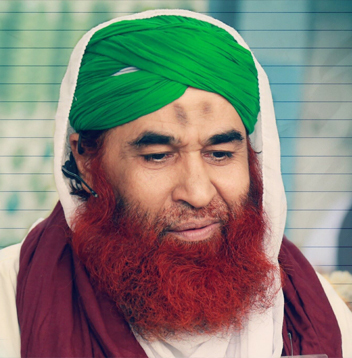 SHAYKH-E-TARIQAT, AMEER-E-AHL-E-SUNNAT, FOUNDER OF DAWAT-E-ISLAMI. ALLAMA MAULANA ABU BILAL MUHAMMAD ILYAS ATTAR QADIRI RAZAVI This brief biography highlights the life and works of an exemplary spiritual guide and phenomenal leader. One who has moved and motivated the hearts and mind of people towards righteousness and virtuous deeds. In this modern world where almost all and sundry is busy in the ostentation of their materialistic things. Like displaying of wealth; property; vehicles and showing off their expensive things. On the contrary Maulana Muhammad Ilyas Qadriدَامَت بَرَکاتُہُمُ الْعَالِیَہ is living a life of simplicity and humbleness. He has no affection towards worldly affairs. Neither is he inclined towards the materialistic beauty of this world. He uses earthen utensils for his eating and drinking purpose. Skin of animals is used by him for sitting to adopt humbleness. Moreover simplicity in wearing, eating and speaking are few of his noblest attributes. Acting on the commandments of Holy Quran and sacred Sunnah of the beloved Prophet صَلَّی اللہُ تَعَالٰی عَلَیْہِ وَاٰلِہٖ وَسَلَّمَ, Maulana Muhammad Ilyas Qadri دَامَت بَرَکاتُہُمُ الْعَالِیَہ has been leading his life of piety. Besides, Simplicity, Truthfulness; honesty and humbleness are some of the great attributes of this great Islamic leader. He leaves no stone unturned in practicing the commandments of Allah عَزَّ وَجَلَّ and Sunnah of the noblest prophet صَلَّی اللہُ تَعَالٰی عَلَیْہِ وَاٰلِہٖ وَسَلَّمَ. Practically speaking the simplicity in dress he wears on; the utensils he uses for eating and drinking; the words of love and gentleness he speaks; the instructions he delivers; the Islamic lessons he teaches; the humbleness he adopts are some of his characters which cannot be paralleled by any other man of the present world.